I worry a lot. I know its pointless, but I become overwhelmed sometimes with fear. Right now I fear that this will not work out. I fear that it is foolish of me to think that I can get this farm going and still hold onto my career as an architect. I fear that I am delusional. I fear that I am becoming obsessive about this project and that I am loosing focus to the point where I could damage myself and hurt my family. I fear that to take care of the cattle is taking too much time and energy and I have not yet go enough fence and water in place to be able to deal with them. I fear that I will find, find with time, that this is not actually what I want to do. I fear that I will find that I am more interested in watching other’s permaculture projects on Youtube, or reading about them on the blogs and forums. These are my fears and many others that surface individually or simultaneously. We have piled the cut ink berry in one heap. Our neighbour Richard has offer for his guys to chip it with the wood chipper. Ink Berry is poisonous to cattle (and sheep and goats) it is a brazillian native and is terribly invasive, especially on the wetter parts of the site. But lets talk rather about progress this week. We still don’t have transfer…but, we have no done everything that needs to be done to get the bond registered. We have an enrolment certificate from National Home Builders Registration Council. We have ” Builder’s All Risk” insurance cover. So we sign with the attorneys at 13:00 tomorrow. Everything should then be plain sailing till the transfer is registered at the deeds office in Cape Town. This should take about three weeks. I can’t think of anything that can go wrong but still I feel that nagging fearfulness welling up in my stomach. 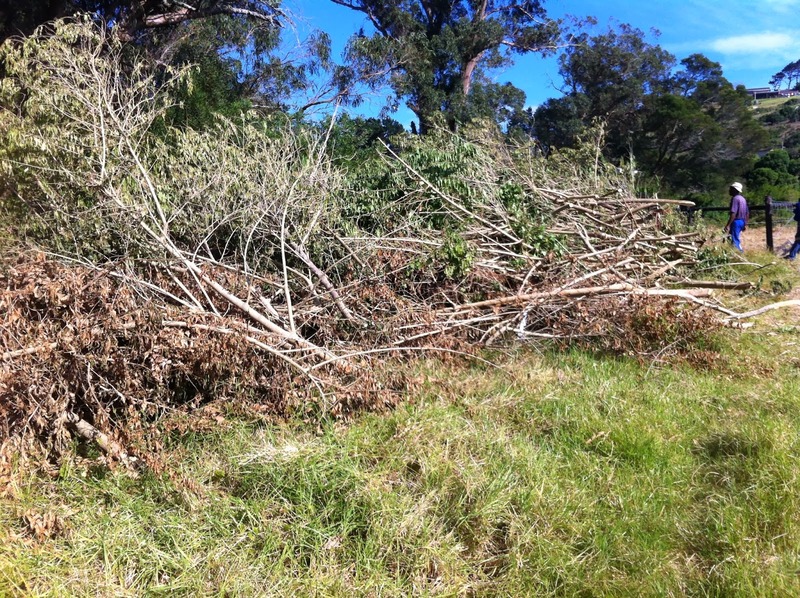 Continuing work clearing Port Jackson and Black Wattle from the path that will become our driveway. 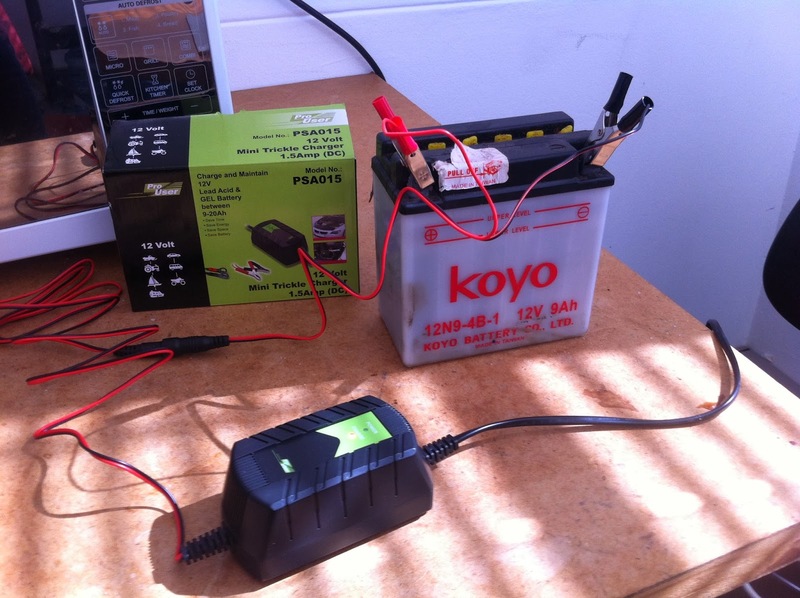 If you have a 9 amp hour battery you should be charging at about 10% of that as an amp input. This charger inputs 1.5 amps, but the instructions say it would be good for batteries between 9 and 20 amp hours. I am feeling a bit tired this afternoon, but I can see we are moving forward.